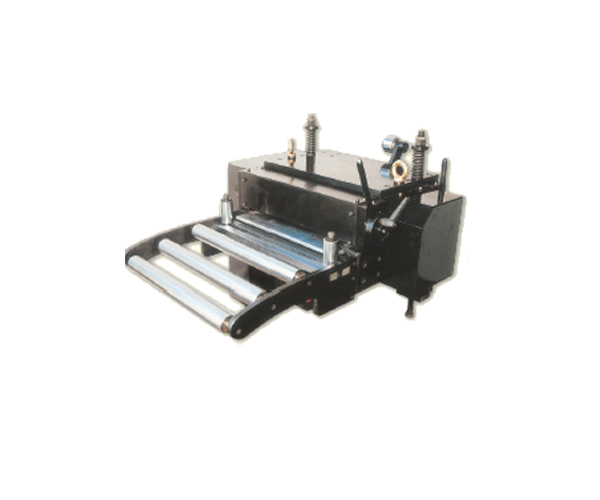 Press Room Automation was the first Indian manufacturer to recognize potential of new technology of Servo-driven Press Feeding equipment in 2001. 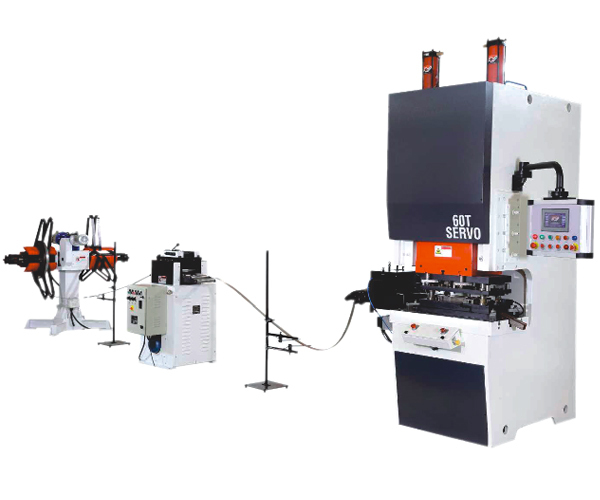 Press Room Automation has redesigned and simplified its entire servo feed line employing innovative, new manufacturing techniques to bring you the highest quality, lowest maintenance, most economical servo line ever. 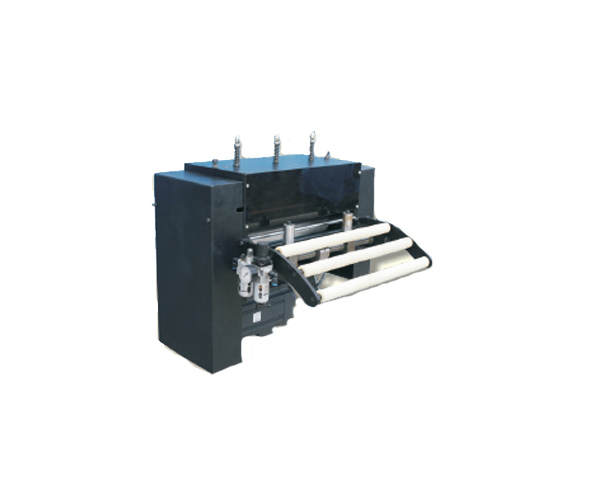 Servo-driven feed rolls grip and move material rapidly and precisely into a stamping press or automation operation. 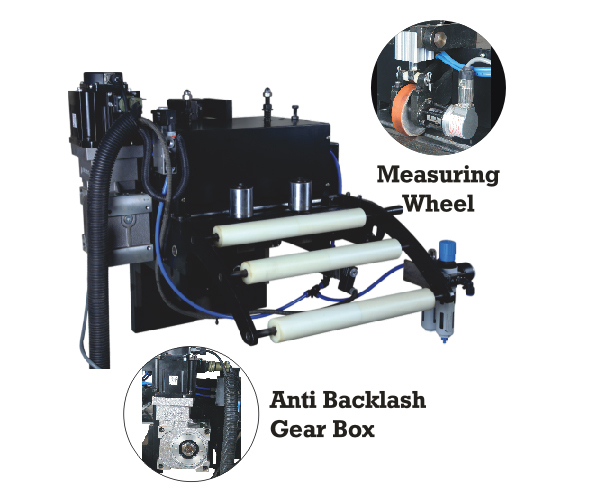 Press Room Automation includes user-friendly features at no extra charge â€“ quick-release handles to adjust roller stock guides, exit support and stock buckle bridge, transition mounting brackets, positive pilot release and roll release for material insertion via Pneumatic Cylinder are just a few of our standard features. 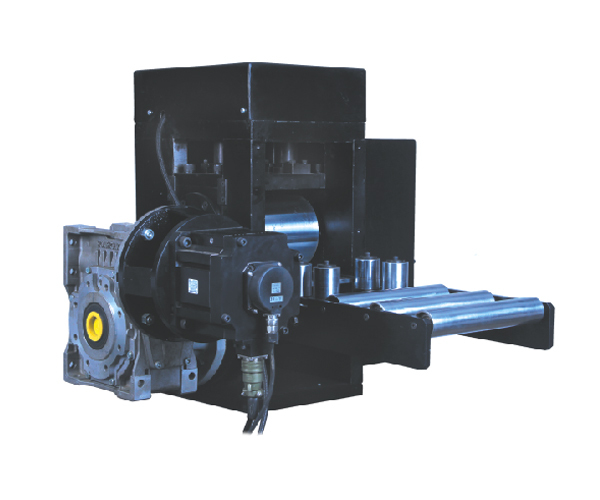 All Press Room Automation Servo Roll Feed models have extra-large rolls to withstand the toughest abuse and harshest pressroom environment. Compare our rated specifications and generous roll diameter against any other feed builder. 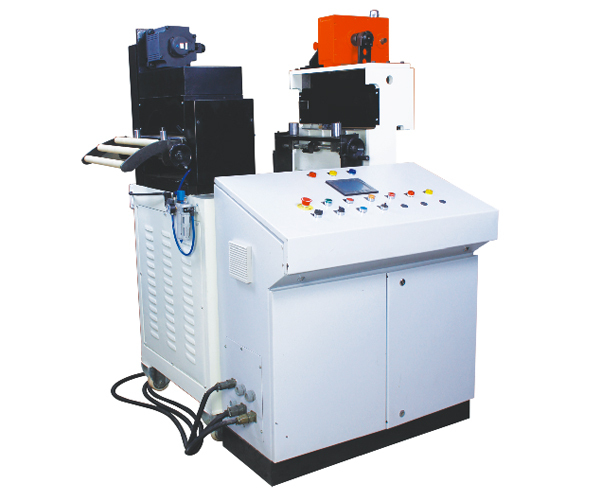 Accuracy to Â± 0.025mm roll position is achieved through, closed-loop servo control and precision gearing. Input Power: 230/ 415V, 3 Phase. No Transformer Required. Precision incremental optional Encoder (In built) to provide velocity & position loop feed back. Industrial Hardened Terminal : Easy-to-read solid state Interface Terminal display area with a backlit 4 line display, sealed membrane keypad with tactile feedback. User Friendly Interface : The Interface Terminal directs the operator with clear, descriptive message in plain English. Pressing the Help key while in different screens directs the operator with instructions on how to change parameters or look at information. Different modes off operation can be selected as well as jogging forward ar reverse in manual mode. 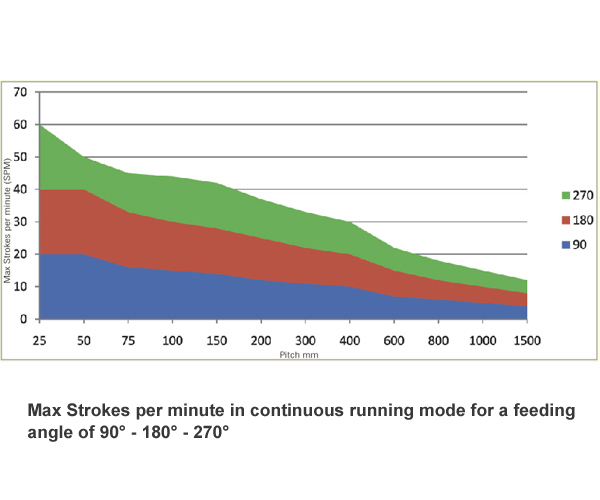 Advanced Feed-Angle Monitoring : Continually monitors the feed-angle & the material positions. 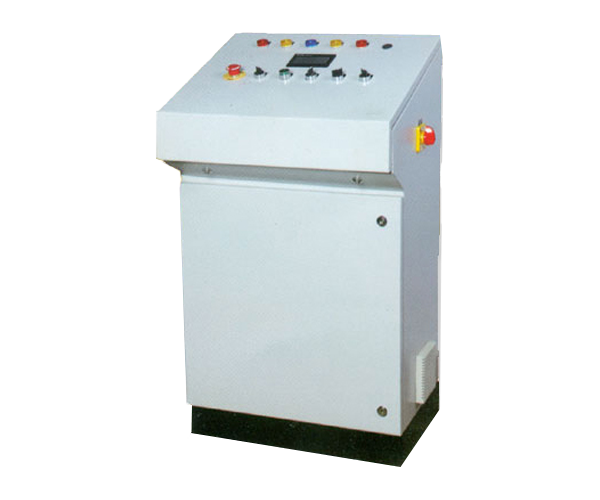 Compact electronic control Enclosure with built-in Operation Panel that can be easily adapted for press mounting or used as a freestanding console. Accuracy to + 0.025mm roll position is achieved through, closed-loop servo control & precision gearing. When connected to the press control, advanced diagnostic protect machinery & dies by automatically stopping the press if a fault is detected. Up to 99 parts can be pre-programmed by part number, each having unique length, feed rate, acceleration & jerk configuration. 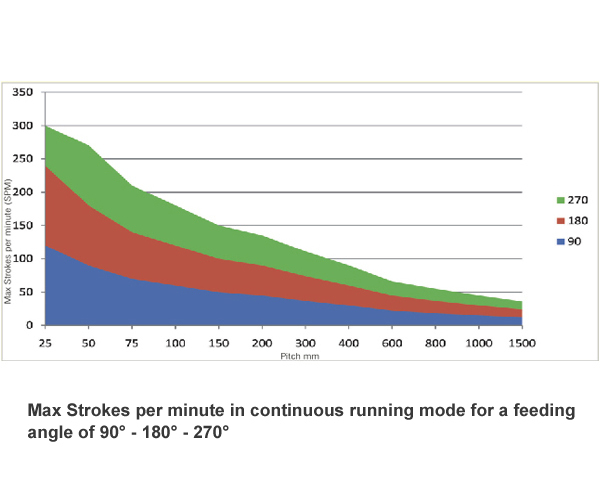 Multiple cycle choices-feed before press, press before feed, or intermittent operations-allow the user to set up the roll feed specific to his needs. Input Power : 230 /415V, 3 Phase. No Transformer Required. Electronic Cam kit : Programmable Rotary Limit Switch for Setting of the Safe Feed and Pilot Release Windows, with digital crank rotation position and Press Speed Indicator consult Factory. 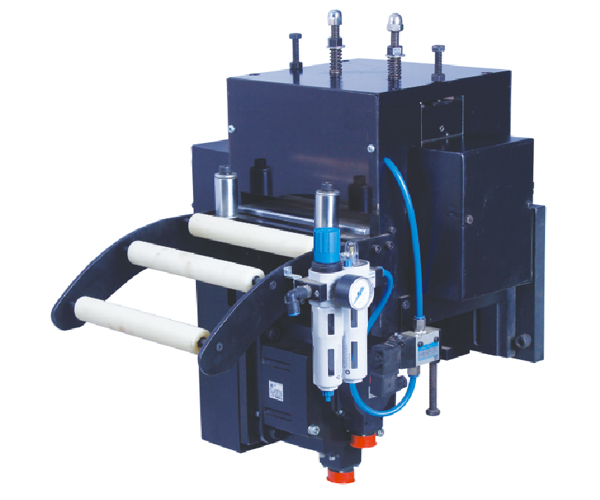 Pneumatic/mechanical/servo roll release for pilot release. Screw Adjustable Press Mounting Bracket. Hydraulic Jack Press Mounting Bracket. Remote Pendant with Forward and Reverse Jog Push Buttons. Additional measuring wheel on strip for measurement. 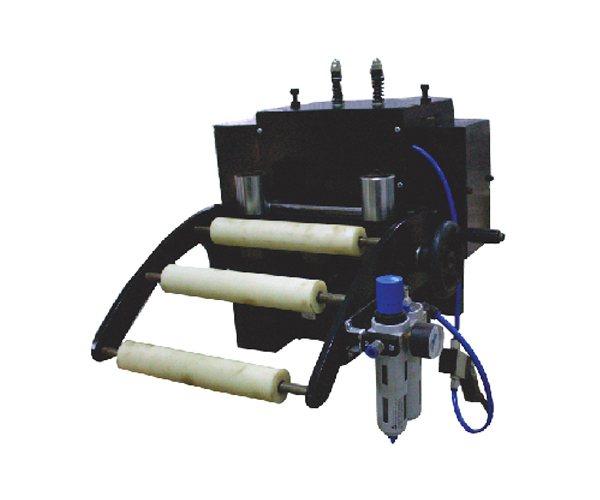 High Speed Series with Pneumatic Pilot Release High Speed Series with Pneumatic Pilot release mechanism is suitable for electrical motor stamping & electrical lamination mfg. industries. Special high frequency & high flow solonoid valves are using to achive pilot release at high speed of 24 to 30 mpm. 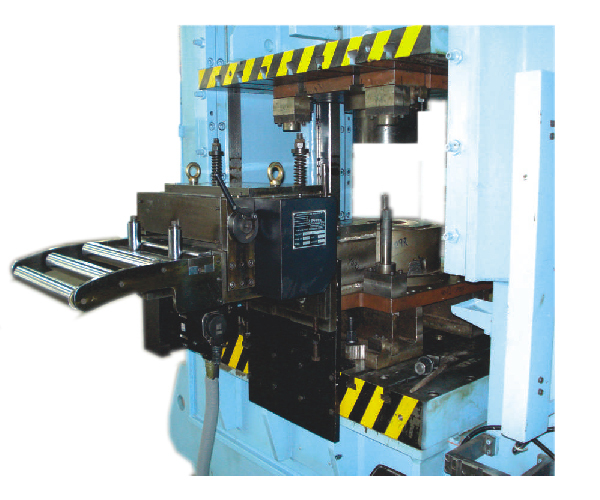 High Speed Series with Mechanical Pilot release is suitable for electrical motor stamping & electrical lamination mfg. industries where line speed is uptil 40 mpm. 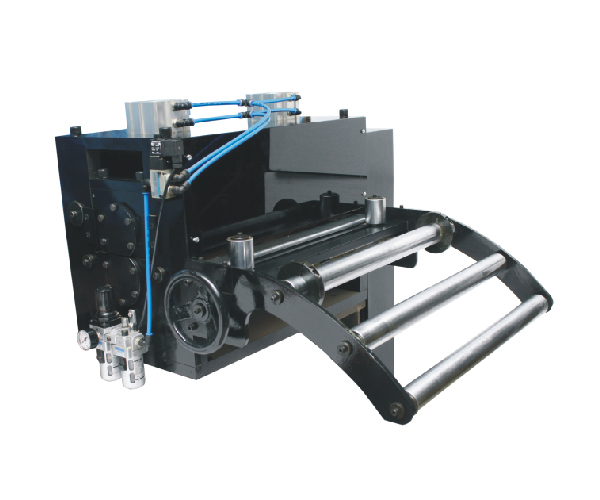 In top High Speed Series, Feed and Pilot release are done by two separate servo motors. 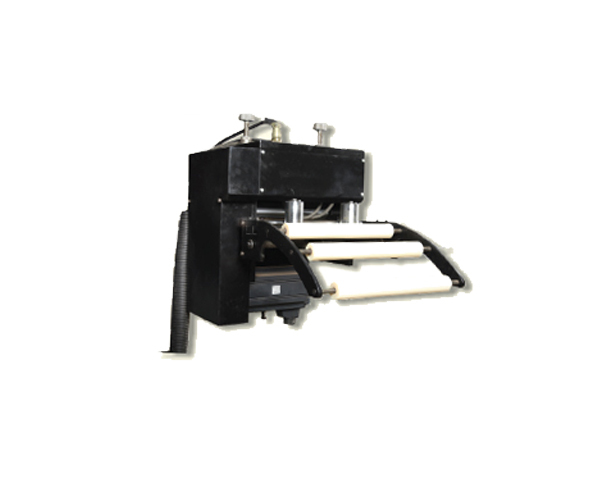 This enable to achieve desired line speed uptill 60 mpm with high accuracy. Aanti Backlash Gearbox is used for beter accuracy higher torque. 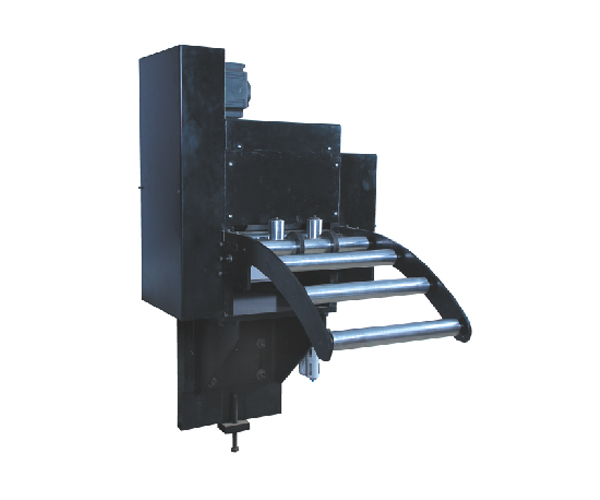 The accuracy is made by a double measuring system servomotor resolver + measuring wheel on sheet. In MANUAL MODE Each Press & Servo Feed can be operated using individual push button on the control panel. Indicating lamp would be provided for displaying state of Feeder & Presses. In AUTO MODE, anyone of the program can be selected & on pressing START button, the whole program is executed with 50 steps. 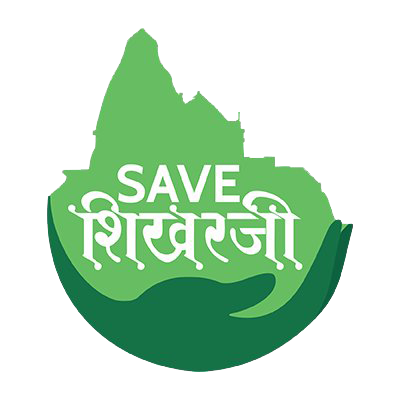 The program can be edited. 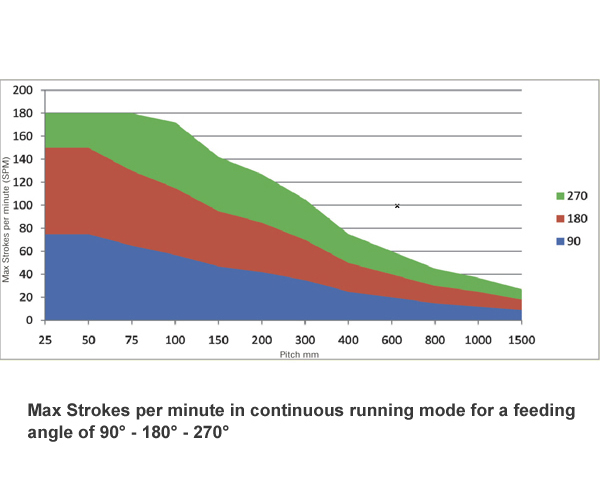 The display would show the machine status & feed parameters. Any Station can be operated in any sequence with reference to Roll Feed position. 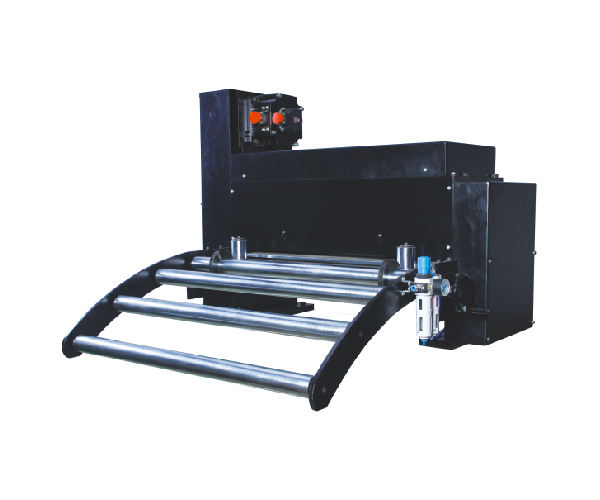 Also Roll Feed can have any indexing length in reference to operation of each Station Single / Jointly. Max. 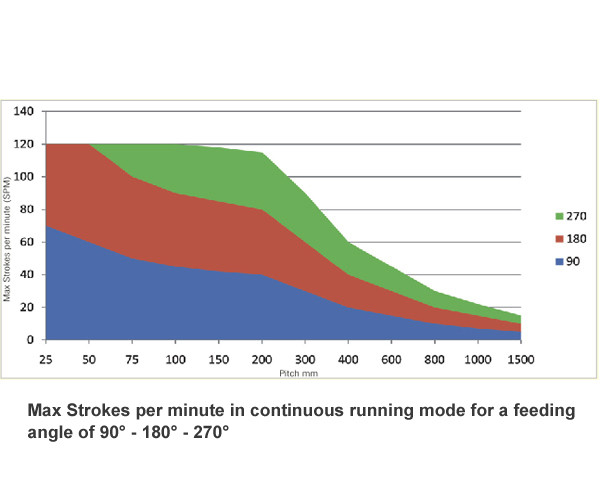 Acceleration of Roll Feed. UP & DOWN timing of Punching Presses. Length setting of Each indexing.